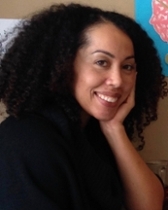 kihana miraya ross is an assistant professor of African American Studies at Northwestern University. Her research examines the multiplicity of ways that antiblackness is lived by Black students. Critically, her work also explores how Black educators and students collectively imagine and resist antiblackness and racialization processes.